I first saw these paranormal activity in Rome, three years ago, on the railings of a church by the Trevi Fountain. Back then I thought it was unique to that church. I posted a photograph of it on here and quickly found out that it was anything but unique, stretching even as far as China. Nevertheless, seeing them again in Paris still tugs at my rusty heart strings. 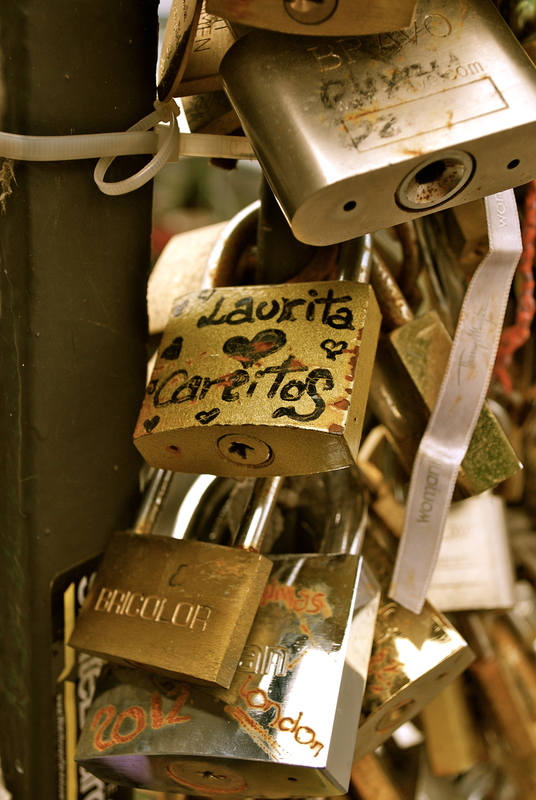 Lovers from around the globe have come to add their own testimony of love, engraving their initials on the padlocks – be it a pretty pink bike lock or a heavy duty brick of steel – fastening it to the railings, and tossing the keys into the Seine in a declaration of undying love. 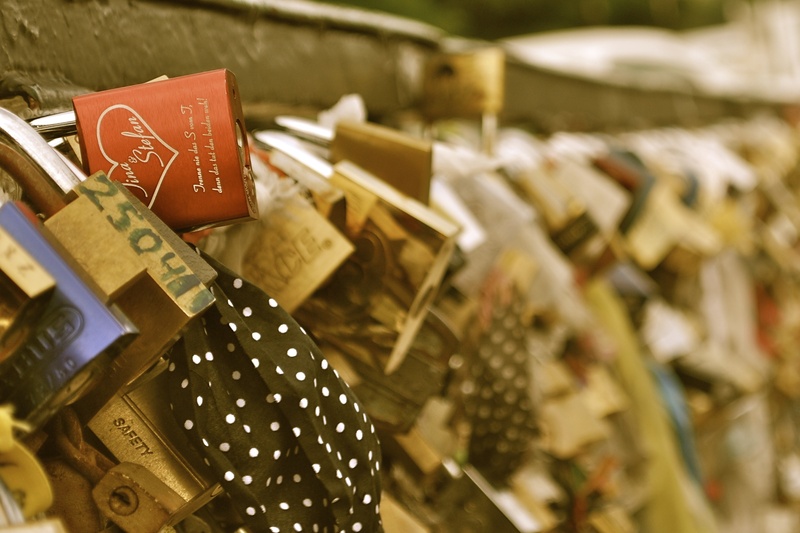 There are currently over 2,000 locks on the Pont de l’Archevêché with a view of Notre Dame. 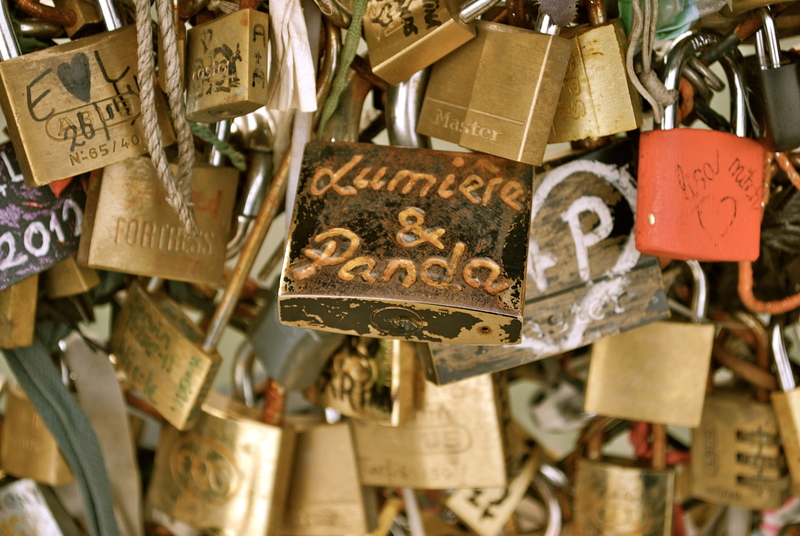 Apparently love is very good for the padlock business. 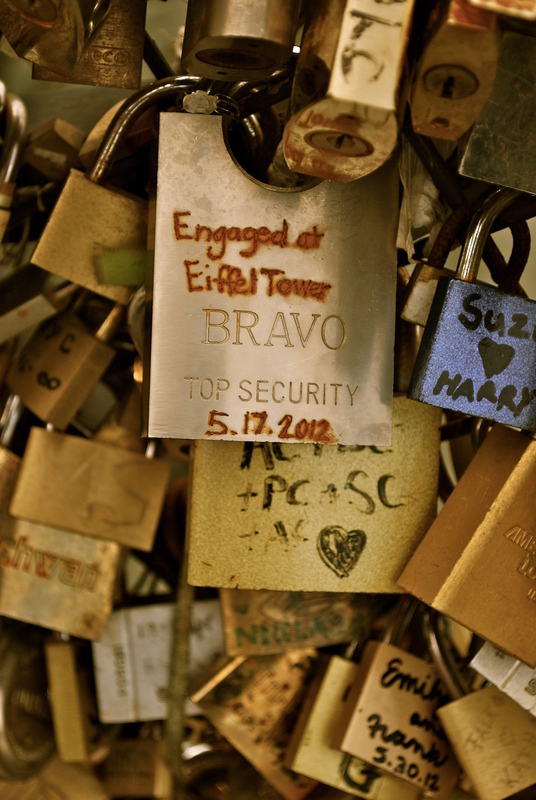 “We’ll always have Paris”, goes the saying and now thanks to a simple security system Paris will always have a bit of you. ooo so sweet, makes me want to go do that now! Wonderful! What a unique subject too. Well it is the city of love after all! Our 48-hour escape was coming to an end. We hadn’t managed to do a tenth of the things we had intended – the museums and galleries and cathedrals would have to wait for another time. But we’d done something much more important. We’d stared at the rain and talked about love and life – and there’s no better place to do that than Paris in the spring.